This year ITALA was held on Thursday 1st October, in the prestigious setting of the Alberoni College in Piacenza. Contship Italia Group was awarded the special prize for Education with its PORTO LAB corporate social responsibility project; a recognition that Contship extends whole-heartedly to all of its partners and supporters in gratitude for their commitment to this inspirational yet concrete project that touches the heart and mind of thousands of Italian primary-school students. PORTO LAB is the result of a journey strongly wanted by the Contship Group. 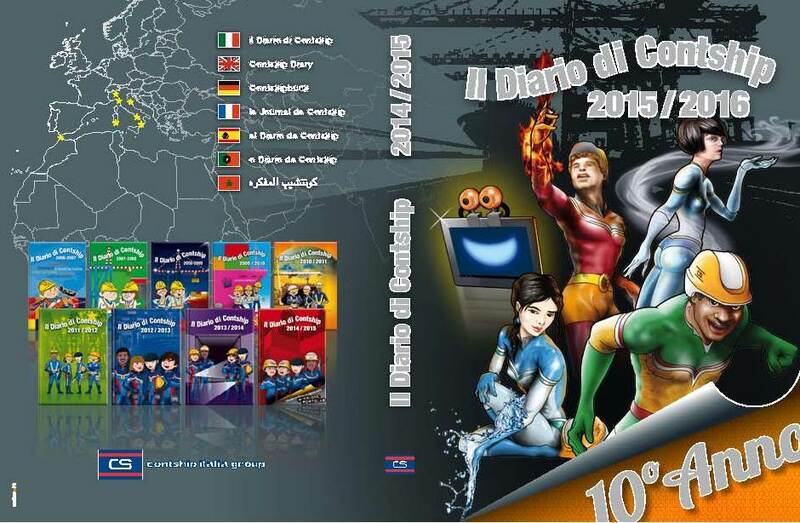 The aim of this project is to communicate with the younger generation through their schools, in the will to transcend the value of the logistic culture, where the port, the intermodal hubs and their multiple main protagonists become key points of reference to help educate children and potentially inspire them for future vocational training. 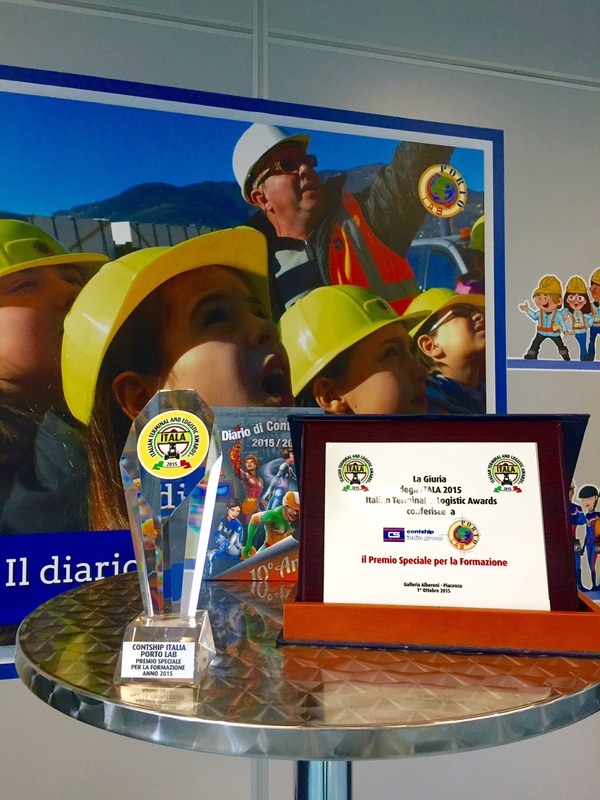 Each year, this initiative, involves more than 2,000 children - equipped with a helmet, a personalized pass and a high-visibility jacket - visiting the Contship Italia Group Terminal, accompanied by the expertise of the PORTO LAB TUTORS. 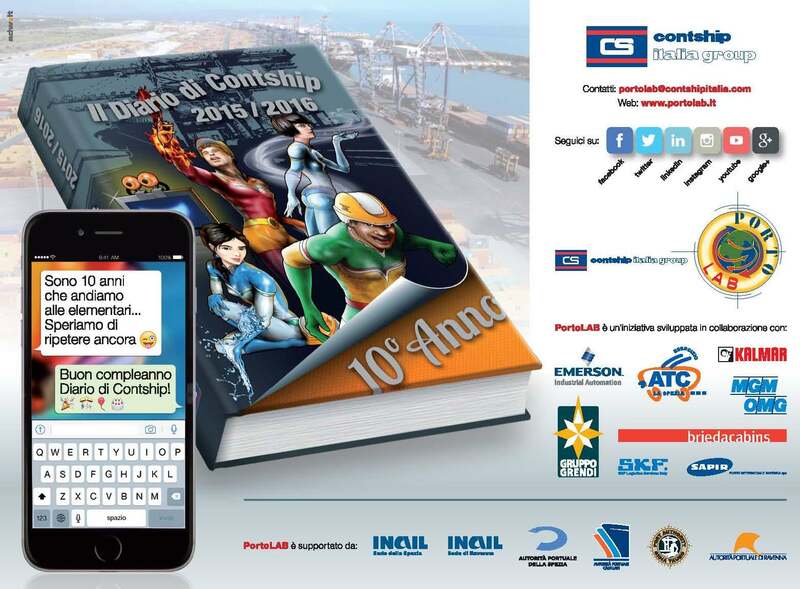 Since the project took off, some 110 institutes participated every year, where more than 90,000 Contship Diaries were distributed supporting in-class activities during the year. In this project children became the protagonists of the port and intermodal hubs exploring and discovering the reality of what is usually off-limits and so important for the development of the local territory in which it operates. Today, thanks to the involvement and commitment of more than thirty men and women, Contship’s PORTOLAB project continues to grow, in the will to accommodate and arouse the curiosity of more and more children in this large open-air laboratory, in order to offer them a hands-on experience in the complex, dynamic and ever-evolving world of logistics. The intent of the project is to provide schools content and support tools for basic vocational training, hence offer the students the opportunity to experience with strong emotional impact a concrete first-hand experience of the themes and journey travelled in class. The ITALA event was conceived to highlight - both in Italy and abroad - the ability of Italian logistic hence recognize their managerial qualities and strategic importance for the national economy. PORTO LAB is a Contship Italia project in partnership with MGM-OMG, Brieda Cabins, Gruppo Grendi, Sapir, SKF Logistics Services, ATC Esercizio Spa, Emerson Industrial Automation, Kalmar Italia and also in collaboration with: Port authorities of La Spezia, Cagliari, Gioia Tauro, Ravenna, INAIL of Ravenna and INAIL of La Spezia.